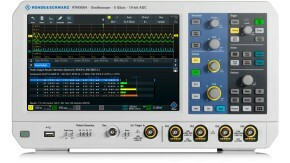 The R&S®RTx-K31 software option provides essential measurement functions for analyzing power electronics, including inrush current, output spectrum and safe operating area. A measurement wizard with detailed instructions guides the user through the test setup. 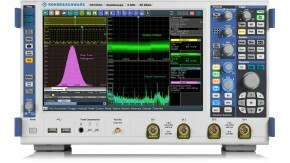 The oscilloscope configures itself automatically and delivers quick results. After you select a measurement function, the measurement wizard guides you through the test setup. Detailed illustrations help you make the correct connections. 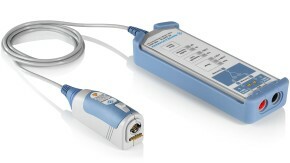 The oscilloscope then configures itself automatically and delivers quick results. You can modify the configuration or completely manually configure the oscilloscope in order to document specific signal details. Different standards for limiting the harmonic current must be met when developing switched-mode power supplies.The R&S®RTO-K31 option helps you test in line with all common standards: EN 61000-3-2 classes A,B,C,D, MIL-STD-1399 and RTCA DO-160. Add each result to the test report by simply pressing a button. The test report documents the setup and configuration. Define the level of detail in the report and customize the layout, for example by adding a company logo. The available output formats are PDF and RTF.